Mr. J. Doug Pruitt serves as Chairman of the Board of Directors of The Sundt Companies, Inc. and serves as Chairman of Sundt Construction, Inc. He joined the Sundt family of companies in 1966 and, in 1992, assumed the position of President and Chief Operating Officer. In 1998, he became Chairman and Chief Executive Officer. Mr. Pruitt also served as Executive Vice President and Manager of the Sundt Building Division, Vice President/Manager of Construction Management Services and Chief Estimator. He is the author of several articles on concrete slip-formed mechanical cores for high-rise buildings. He has chaired numerous committees for the Associated General Contractors of America (AGC), producing brochures and videos on Total Quality Management, Partnering and Workforce Development. He is an advocate for the development of better technology in estimating, scheduling and construction methods. Mr. Pruitt has been an outstanding advocate for workforce development and vocational education. 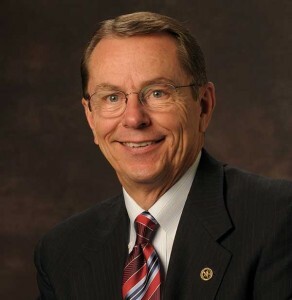 His leadership of local, regional and national organizations that advocate for training and workforce development has led to the advancement of many programs at Maricopa Community Colleges.